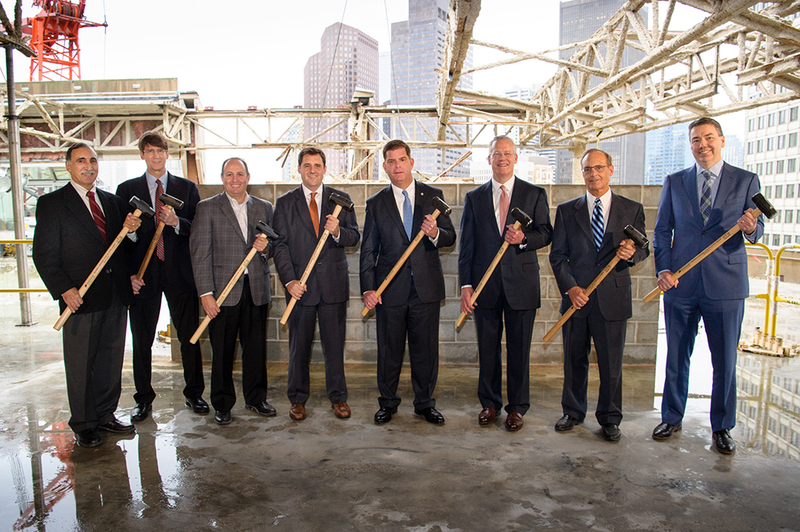 Boston, MA Mayor Martin Walsh, city officials, and members from National Real Estate Advisors and The HYM Investment Group, used sledgehammers to mark the launch of construction at Bulfinch Crossing. The project involves strategically transforming the site of an underutilized above-grade parking garage into a 2.9 million s/f mixed-use development known now as Bulfinch Crossing. With proactive community engagement throughout the design process, Bulfinch Crossing is one of the largest mixed-use development projects ever permitted in the city. Located at the nexus of some of Boston’s most iconic neighborhoods, the project includes six new buildings – three towers surrounding a one-acre green rooftop terrace and three mid-rise buildings encompassing a new net-zero public plaza. A large portion of the existing garage will remain but will be wrapped by the new buildings. Bulfinch Crossing will redefine this area and create a new sense of place through thoughtful planning that focuses on adaptive reuse, sustainability, and creating a modern and vibrant “live, work, play” experience. Shown (from left) are: Paul Crisalli, operations partner at The HYM Investment Group; Daniel Butler, director, portfolio and asset management, National Real Estate Advisors; Kevin Verdi, managing director, investments, National Real Estate Advisors; representative Jay Livingstone; mayor Martin Walsh; Thomas O’Brien, founding partner and managing director, The HYM Investment Group; Jeffrey Kanne, president and chief executive officer, National Real Estate Advisors; and Douglas Manz, director of development at The HYM Investment Group. The Government Center Garage at Bulfinch Crossing is one of the most visible remaining vestiges of Boston’s historic urban renewal. This massive above-grade concrete parking garage creates a physical barrier that divides some of the city’s most recognizable neighborhoods. The new Bulfinch Crossing development is specifically designed to reconnect the West End, Bulfinch Triangle, and North End by tearing down 50% of the garage and re-activating the site through ground-floor retail, outdoor dining, and new green spaces. The project is committed to achieving energy efficient building design by commitments to a net zero urban public plaza and one LEED Platinum, four LEED Gold, and one LEED Silver buildings. 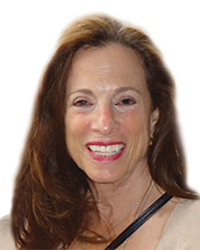 Forward-thinking shared parking models, electric vehicle charging stations, a 850-space shared bicycle parking facility, and direct access to multiple modes of public transportation are also key aspects of the redevelopment. Bulfinch Crossing also encompasses construction of a one million s/f office tower – One Congress. Designed by internationally renowned Pelli Clarke Pelli Architects, One Congress will rise more than 500 feet as not only an iconic anchor of Bulfinch Crossing but also as a compelling addition to the city skyline. Tenants at One Congress will have views across Boston Harbor, down the Charles River, and as far north as the mountains of New Hampshire. Transwestern is the exclusive leasing agent for One Congress. 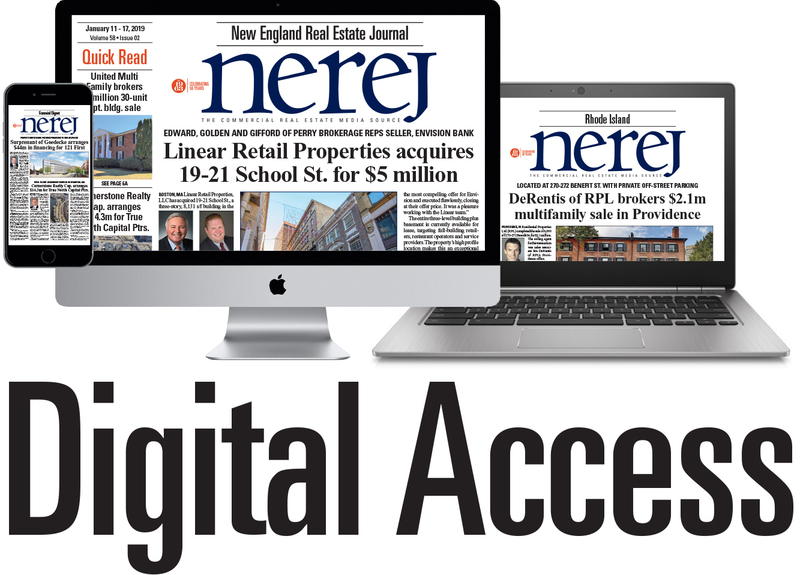 “Bulfinch Crossing exemplifies National’s commitment to transforming urban districts, creating job opportunities and securing investment returns for our clients and partners,” said Jeffrey Kanne, president and chief executive officer of National Real Estate Advisors.